Thursday last week was a massive, massive day for us: it witnessed the launch of Zailab’s community-run contact center in Delft, Western Cape, powered by Zailab’s cloud-based contact center solution. It’s been two years since we started this journey with our social impact partner, the amazing Zoë Incubation Center. Two exciting, frustrating and ultimately wonderful years – and now here we are with the first ever ultra high-tech contact center and incubation center in a South African township. The launch was thronged by government delegates, journos, private-sector stakeholders and religious leaders, among others. There was, frankly, a frightening number of cameras. We hereby motion to have the collective noun for cameras be ‘frightening’. Judging by the clapping during the speech of our founder and CEO Nour Addine Ayyoub, the whole Reimagine Delft project – and the blueprint emerging from it – went down a treat. If you’re not familiar with this tale, here’s how it works: within a year it’s intended that this contact center will have produced 1000 local jobs. And not just within the center itself – the idea is to stimulate entrepreneurs and create a space for work-from-home agents. 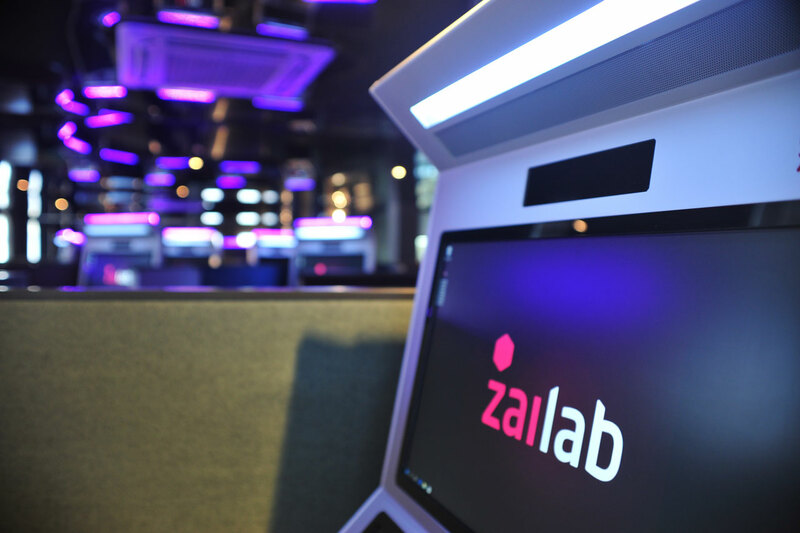 The contact center is powered by Zailab’s cloud-based contact center solution and agents will use the online platform in their day-to-day work. But let’s pick this up from the get-go. An impoverished neighborhood in Cape Town, South Africa, Delft was established near the end of apartheid. But the structural inequality engineered by that terrible era means that this area, like so many others, still struggles tremendously with poverty, crime and a living standard far lower than should be the case. Then when you consider that the people who do work in the area tend to work in the CBD – and the distance to the CBD is 32km – the situation compounds. Residents spend up to six hours a day on their commute, and anything up to a third of their income. That’s a staggering amount of wasted money and time. It doesn’t end there. That commute – and the fact that people spend so much time working away from home – means parents cannot keep an eye on their children, or spend even slightly enough time with them. The result is a splintered community overwhelmingly prone to drugs and crime. Reimagine Delft has the capacity to change all of that in Delft – and the rest of the world. In this case, the incubation center comes in the form of the Zoë Incubation Center, an outreach project conducted by Home of Compassion Ministries under the leadership of pastor Charles George. Zoë’s mission is to give locals the skills and knowledge they need to tear themselves free of poverty; it also assists with job placements after training is complete. It was, essentially, the perfect partner for our aims. Our mission would be dead in the water without solid Internet connectivity in Delft – our software, which lives in the cloud, demands a fast, stable connection. Thankfully the City of Cape Town, along with a number of other roleplayers, has that base covered: last year Delft became home to superfast fiber-to-the-home infrastructure that more than caters for our needs. We’re max blessed with an astoundingly capable industrial design team. Like, you’ll by now have heard about our space truck, which is obviously not actually capable of interstellar travel (at least not without asphyxiating everybody within seconds and probably disintegrating in the radiation of outer space). It’s still pretty much the coolest thing ever though – and it was designed and largely built by our industrial design team. They don’t even walk around being smug all the time about it, which just goes to show how badass they are. Anyway. What we’re trying to say is: these people are also behind the designs of our contact-center furniture and devices. Just look at these beauties. Cue salivation. Shameless plug alert: our grand vision of a decentralized network of home-based agents wouldn’t be possible without, well, our very own cloud-based contact center solution. The key lies in a few aspects. For one, because it’s cloud-based, it can be used by anybody, anywhere, as long as they have a computer and a stable connection. And because our pricing follows consumption, the app is incredibly accessible to entrepreneurs – if it isn’t used, it isn’t charged for. But none of this would make a jot of difference if it weren’t possible to keep a close eye on an organization of remote workers. That’s why we put so much thought into our admin, QA and team leader tools – we’re gonna go out on a limb and say they give you more insight into your operation than traditional tools do in a centralized organization. This one we can’t talk about just yet as we’re waiting for our amazing partner to announce it first. Soon! To start off people will get a thorough dose of top-notch training at the Zoë Incubation Center. They’ll learn how to be world-class agents and team leaders using our solution; they’ll then join the contact center sited at Zoë and start earning cashmoney. Once they’ve received sufficient experience, they’ll be able to take their work home – literally. They’ll get set up to work for the Zoë contact center from their own houses. This cycle – training, in-house recruitment and eventual remote work – will continue indefinitely. The difference this will make to the area is pretty extreme. It will create jobs and stimulate entrepreneurship. It will change perceptions about the area and areas like it. It will help people save a lot of money and time. It will bring families back together. Crime rates will drop. We’re betting on this as pretty much a foolproof way to emancipate an impoverished area, and we’re very proud of it. A fundamental part of it is that it’s emphatically not an act of charity but a sound business model that also happens not to be evil. We think it makes good business sense to do good by the world, and this is the pudding in which you’ll find the proof. Once we’ve established what works and what doesn’t about this model, we’ll refine it and start rolling it out across other areas in South Africa and beyond – including the USA.